Today is the EU Referendum voting’s day. Those who eligible to vote are have to decide whehter the UK stays in the EU or not. Before I came to Glasgow, there was also a referendum for Scottish resident. They decided not to leave the UK at that time. Speaking about referendum. Indonesia experienced the same political activity back in 1999 when Timor Leste had a conflict. The result was the independence for Timor Leste. 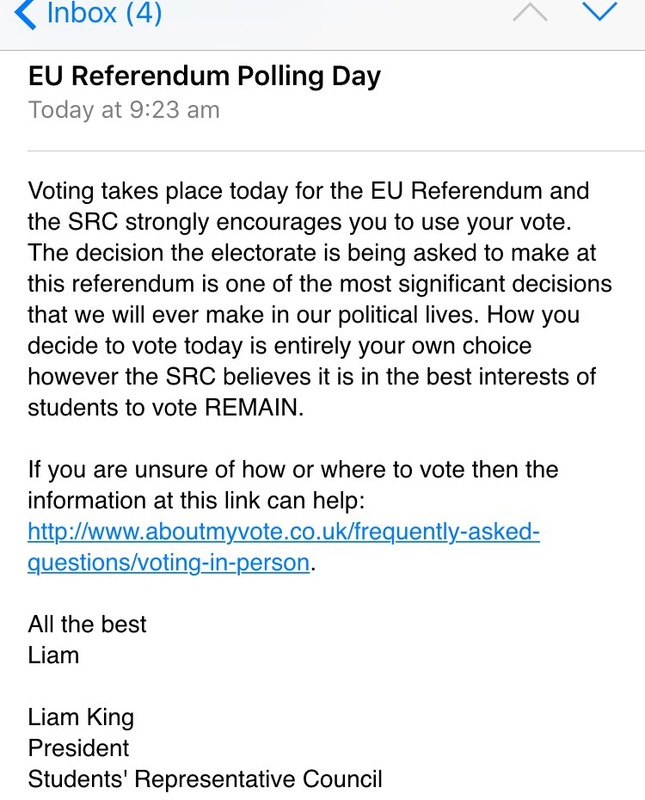 By the way, as a student in Glasgow, I have received some emails about this referendum. It was started with “what is EU referendum” and things like “why you should vote” and finished with “we suggests you to…”. It seems like fine that students representative council provides suggestions for students. In Indonesia, this seems unlikely to happened. I remembered in my undergraduate degree. There were some political events in uni level, local government level, and national level. There was always a kind of perception that if a student representative releases some “political suggestion”, it means that the body OR the person(s) will “have something in return”. We believed that those who endorse a political institution or person will gain benefit from it. For example, the use the support to get a ticket for being eligible to be a lecture. Well, it was too honest of me. But again, it is a perception. Perhaps, in university, particularly, the student body has to prove that they are being the “real representative”. In the case of my previous uni, maybe there is something called “mistrust”. If the student representative could shown that they use their political power appropriately, then students will trust them. The representative would gain something that can’t be paid by sweet treats: integrity and credibility.